This chapter is an autoethnographic account of the night shift on an Atlantic sail crossing from Cape Verde to Brazil. The main focus is on how silence-phenomena and solitude influenced my lived-experience in this setting. 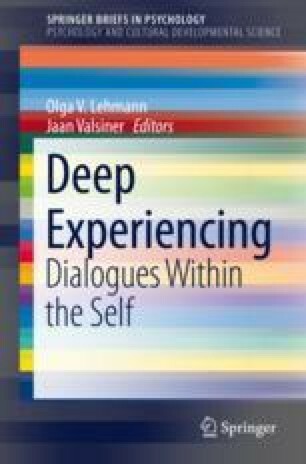 According to theory within cultural psychology silence-phenomena can be valuable as a context that promotes reflection and aesthetic experiences. By analyzing an extensive excerpt from my ethnographic diary, the notion of silence as a source of experiences with existential depth is problematized. In the excerpt three states of mind are found to be salient during the night shift: the nodding state, the daydreaming state and the elaborative state. In the nodding state, all mental activity is focused on staying awake in the presence of fatigue. With the absence of fatigue, the daydreaming state is a process where the mind turns to daydreaming to avoid a feeling of rising uneasiness resulting from the limited stimuli in the surroundings. Only the third elaborative state of mind exhibited some of the silence-phenomena described by previous papers within cultural psychology. Interestingly, this state of mind did not occur spontaneously, but through the conscious reflection on, and feeling of discontent with, the repetitive thought patterns and experiences in the daydreaming state. These three states of mind and the mental processes within each highlight how a context of silence-phenomena does not only enable profound experiences and deep reflection, but also repetitiveness and consolidation of thought patterns. Volition towards novelty and existentially important experiences appear to be an important additional aspect to a silent context if one is to experience the silence phenomena other papers within cultural psychology describe. There’s a number of people who has enabled the creation of this chapter. First of all I want to thank Olga V. Lehmann for believing in an unorthodox project. Her advice, in addition to that of Professor Jaan Valsiner, has been invaluable. Furthermore I would like to thank Yannick Duplan and Ulf Morgan Knudsen – the crew of Go Ti sailing yacht – for their patience in the writing process and the moments of both laughter and silence. Finally, the last thanks is to my parents, who put aside their own worries to support my dreams.